When you love sewing, you want others to love it too. That is why teaching your child how to sew is one of the most rewarding things you could do with your time. But before you get down to the teaching, you will need to get the best sewing machine for kids. 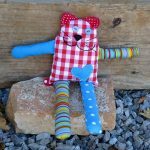 Unlike a toy sewing machine, a kids real sewing machine is a real functioning machine that is designed for kids. In this day and age, there are hundreds of these sewing machines for kids on the market. In fact, there are so many that choosing one can be a problem. 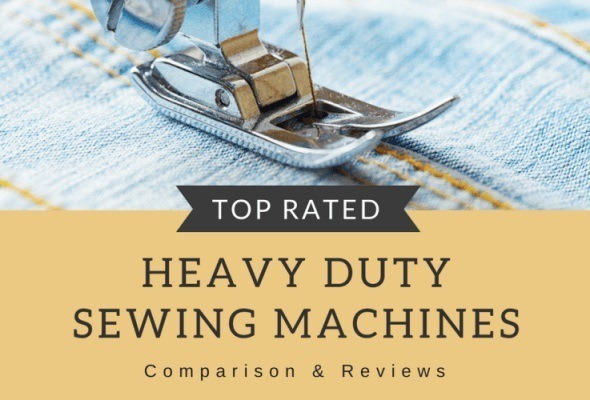 In order to make the right choice, most people have to comb through hundreds of kids sewing machine reviews until they find the one that jumps at them. However, we have decided to make your job way much easier. 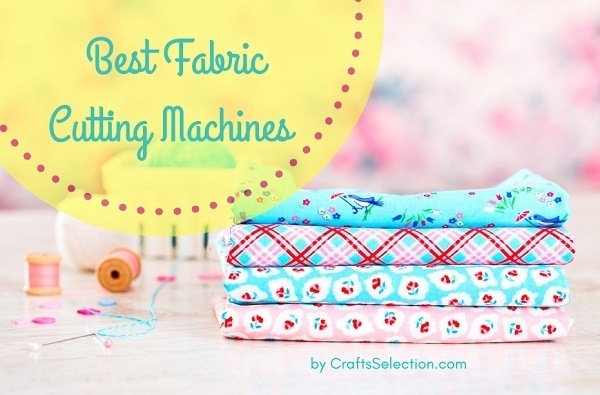 In our informative review, we have included the best sewing machines for kids. So sit back and prepare to be amazed. Before we delve deeper into the review, let us give you a summary of our top picks and their top features. 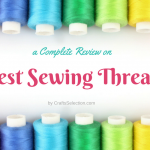 The following kids sewing machine reviews will help you pick the right sewing machine for your kid in little to no time. Like all Janome sewing machines, the Janome Pink Sorbet has a classy finish. Coupled with its fun pink color, this machine will make your little one feel like a tiny professional. However, don’t let the poppy color of this machine fool you; it can handle hard tasks flawlessly. Moreover, it is light and extremely easy to use. Beginners like the fact that its user manual is easy to understand and that it is accompanied by detailed video tutorials. It also helps that it comes with 15 built-in stitches and a snap-in plate that makes it possible to do free motion sewing. People who have used this sewing machine are thrilled by its ability to handle all types of fabric. However, avid quilters feel that they need something with a little more quilting space. 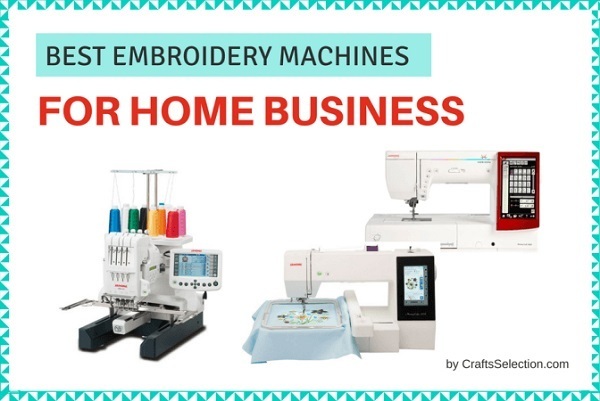 This Janome kids sewing machine not only does all that you expect from a machine of its caliber but is also packaged in a way that is attractive to kids. 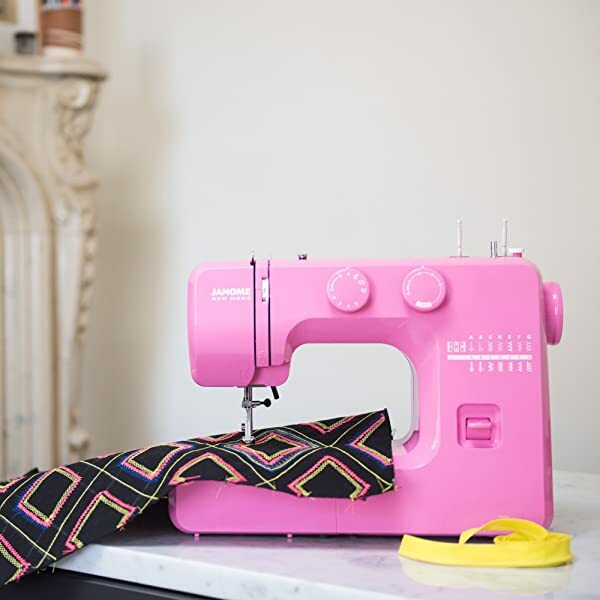 Ultimately, the Janome Pink Sorbet is both a functional sewing machine and a powerful statement piece. 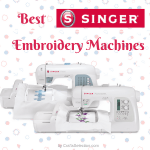 Anyone who has been sewing for a while knows that no sewing machine review is complete without at least one Singer machine. Singer has a reputation for producing strong, high quality machines and the Singer Start 1304 is no different. With its attractive modern looking design, you would be excused for believing that this kids real sewing machine isn’t sturdy. In essence, its chic exterior encases a solid heavy duty metal frame. What’s better? This in no way affects its weight. It is still as lightweight and as compact as ever. The fact that this Singer kids sewing machine comes with an easily removable free arm makes it possible to access hard to reach parts of clothes. 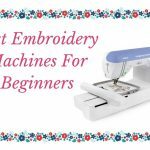 Beginners also appreciate that this simple sewing machine for kids comes with a step by step guide of how to set it up. 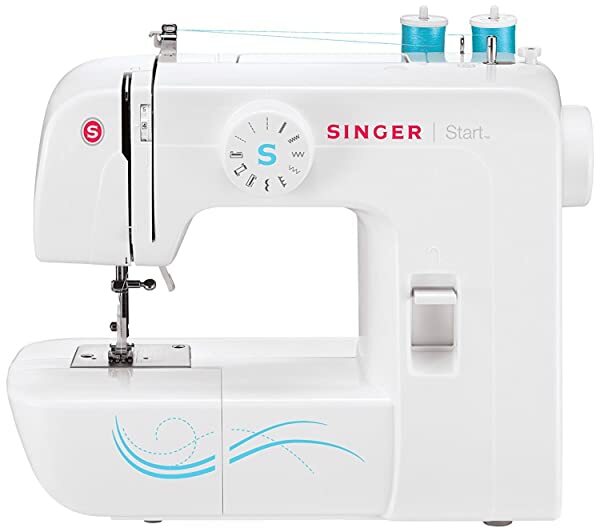 If you are looking for a sewing machine that gives you good value for your money, the Singer Start 1304 may be just what you need. It is one of those machines that give you a lot of features and functionality at an affordable price. Made specifically for kids, the NEX sewing machine for children is just the right size. It is almost like the manufacturers miniaturized a full-size sewing machine to make it. Weighing in at meager 2.2 pounds, this kids first sewing machine is as light and as compact as it gets. This makes it a favorite among kids. 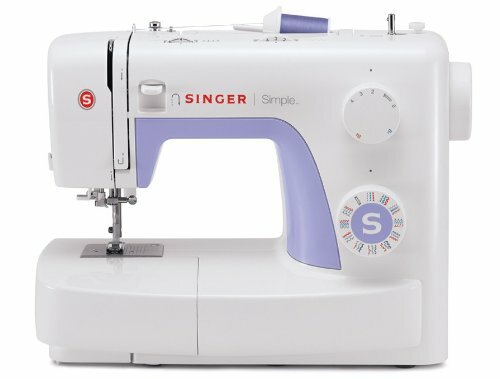 With 1 stitch and 2 sewing speeds, this machine is pretty basic. It is one of the easiest to use and is really affordable too. If you are working within a tight budget but still want to get something good for your kid, this is the sewing machine to get. One thing parents will love about the NEX sewing machine is that it comes with a safety cover around the needle area. It is also amazing that this little kids’ sewing machine has two power options. It can either run on electricity or batteries. 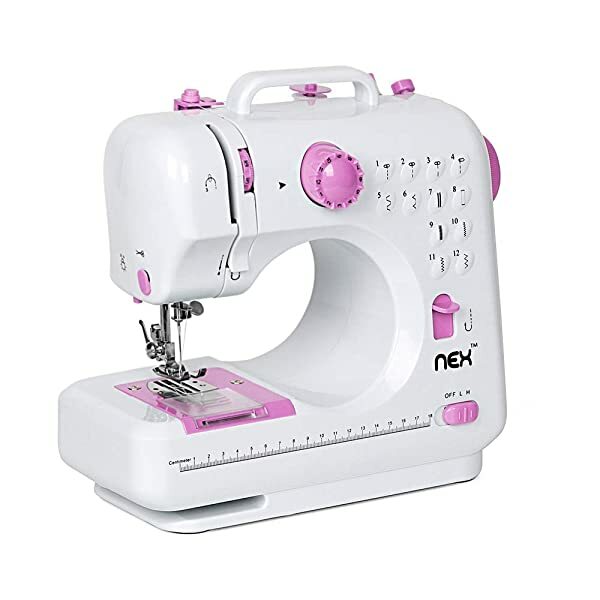 Ultimately, the NEX sewing machine is the best option for those working within a tight budget. 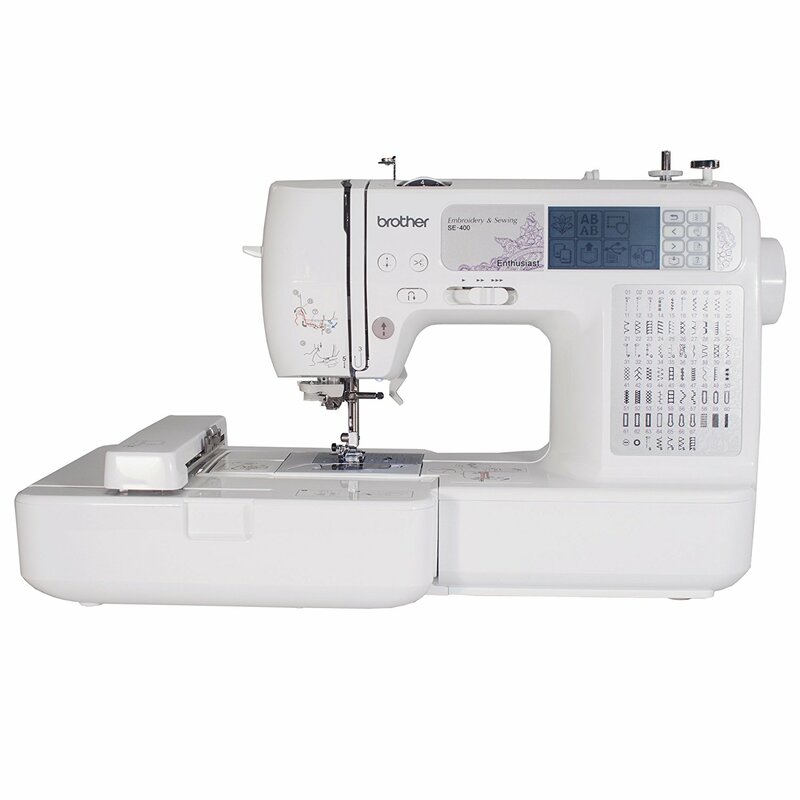 Moreover, its basic design and safety features make it the safest sewing machine for children under 10 years old. One look at the Janome Hello Kitty and you can tell that it was designed with children in mind. From its pink finish to its Hello Kitty drawing, it is clear that this Janome kids sewing machine is a hit with children. However, its childish look in no way gets in the way of the quality of the work it does. This Janome sewing machine for children produces high quality stitches that are even and straight. Users of this machine also love that it comes with a reverse lever that makes hemming very easy. It also comes with a manual thread tension that allows you to set the tension that works best for you. But perhaps one of the most helpful features of the Janome Hello Kitty is its visual diagram of stitches. This diagram is located near the stitch dial and makes it way much easier to choose a stitch. 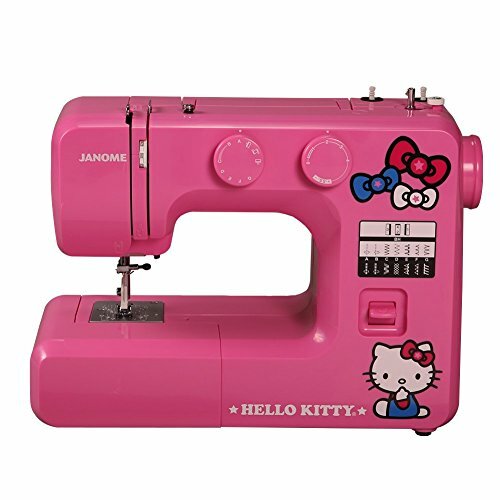 Although the Janome Hello Kitty sewing machine can be used by people of all ages, it is best suited to children of over 10 years. These children are the only ones that are old enough to carry it around while still enjoying its childish design. When it comes to versatility, nothing quite compares to the Brother XM2701. This Brother sewing machine for kids has a free arm that makes it suitable for quilting. It also comes with 27 built-in stitches and 6 sewing feet that are more than enough to do any type of crafting you desire. The fact that it comes with an LED light to illuminate the workspace is an added bonus that most users are thrilled about, especially the beginners. The Brother XM2701 also features a jam-resistant drop-in-top bobbin. 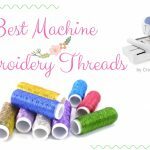 Other convenience features include an automatic needle threader and twin needle capacity. 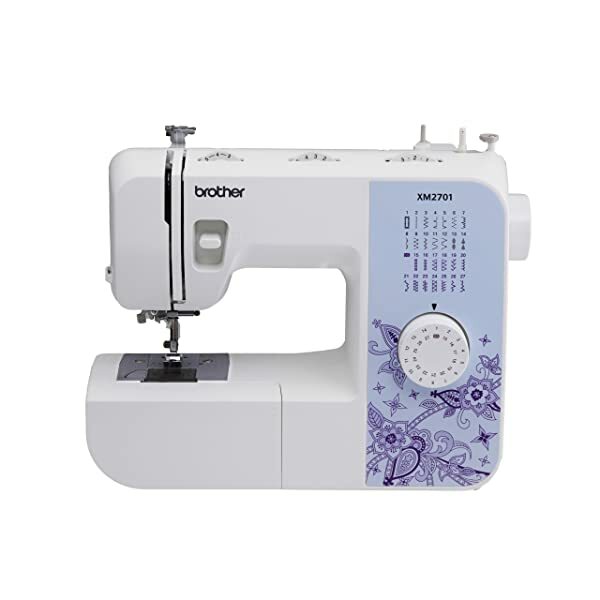 With its ease of use, relatively light weight and smooth sewing skills, the Brother XM2701 is probably the best sewing machine for 10 years old children. 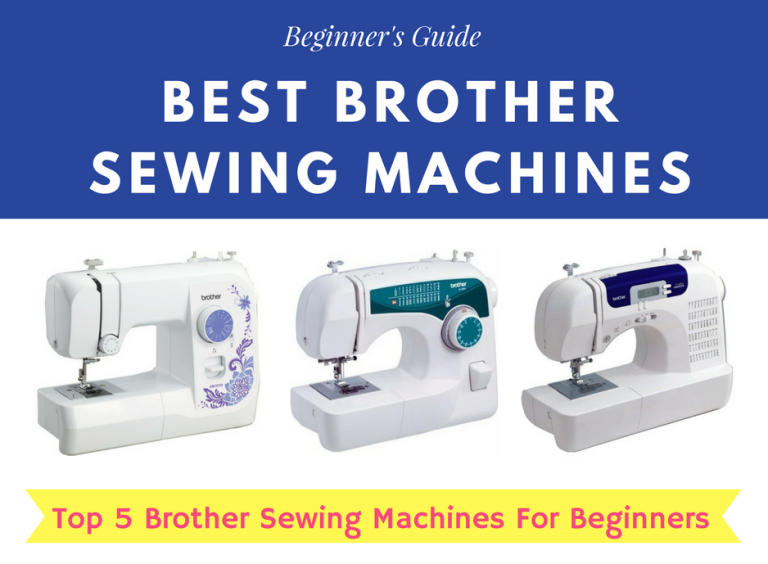 Read more: Which Is The Best Starter Sewing Machine To Buy? We all know that children just love Disney characters, and sewing machine manufacturers know this too. 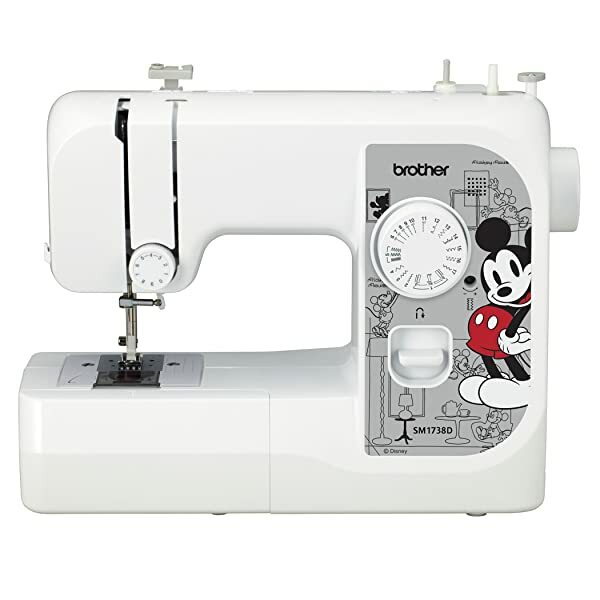 It is, therefore, no wonder that one of the most popular little sewing machines for children is the Brother SM1738D. Its Mickey, flirty Minnie, cool Elsa and Disney princess faceplates have made kids everywhere swoon over it. Aesthetics aside, this Brother sewing machine for kids has 17 built-in stitches. All you have to do to pick one is to turn a dial. Users of this machine commend it on its ease of use, citing it as a good choice for teenagers and beginners. This ease of use can be attributed to the fact that it comes with an instructional DVD. The truth is, children have very low concentration spans. As such, they may need a sewing machine with a cute design to keep them captivated long enough to learn. This is where the Brother SM1738D comes in. 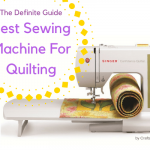 It is the best machine to keep your little one intrigued as they learn how to sew. If you are looking for something that is literally packed with features, look no farther. We give you the Singer Simple 3232, one of Singer’s greatest creations. 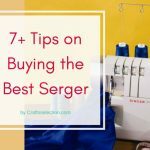 This Singer sewing machine is a beautiful combination of a simple straightforward design and a bunch of high-end features. While the Singer 3232 is simple enough for a beginner to get the hang of, it has enough features to keep you using it into professional status. 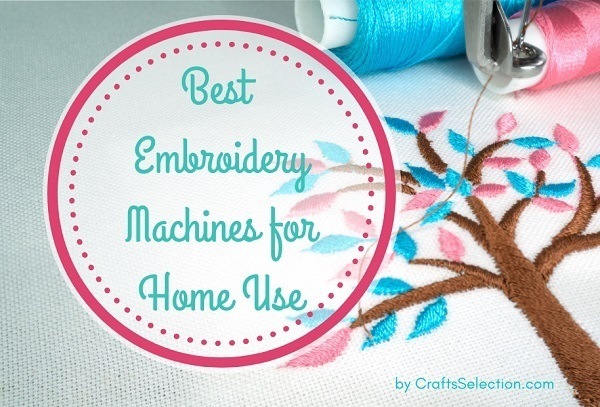 Some of these features include 32 built-in stitches, a built-in needle threader and a heavy duty metal frame. Users of this sewing machine are especially pleased with the fact that it comes with all the accessories you need right out of the box. While the Singer Simple 3232 is durable and easy to use, it is a bit too much for kids under 10 years. However, it is very good for teenagers. At the end of the day, this review has a little something for everyone. 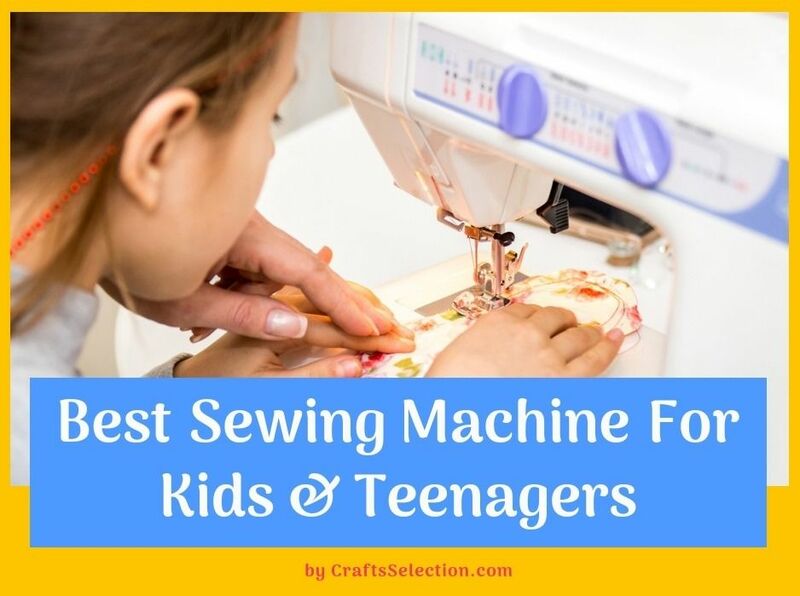 After all, these are the best sewing machines for kids, teenagers and beginners, regardless of their age, sewing experience or budgetary constraints. Whether you are looking for something cute, or just something within your budget, you will find it here.